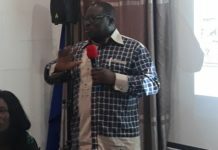 Municipal Chief Executive of Kpone Katamanso Municipal Assembly (K.K.M.A), Solomon Tetteh Appiah, has indicated the need for extension officers to do more research with the food crops that are produced in the country, so they can assist farmers in adding value to them. 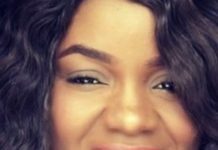 “Adding value to crops that we produce will help in sustenance of the country’s agricultural system, enable us to compete with other countries, as well as give opportunity to the creation of other enterprises and create jobs for the unemployed. 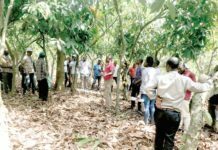 “The collective efforts of Agric Extension Officers across the country have chalked up success over the years; however, they need to do more this time around, particularly in the area of helping add value to Ghanaian food crops,” he said. Mr. Solomon Tetteh Appiah said this in an interview with the B&FT, during the handing over ceremony of 13 (thirteen) motorbikes and one pick-up to agric extension officers in the municipality. 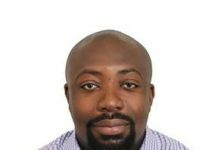 He added: “For instance, if cassava is converted into neat fufu, and plantain into well-packaged plantain chips, what about maize and water-melon? “If we have excess corn, we must add value to it; why are we still importing corn flour into the country,” he queried. 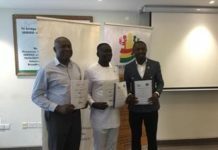 Mr. Appiah therefore called for collaboration between the Ministry of Trade and Industry and Ministry of Food and Agriculture (MOFA) to come on board in this regard, so as to ensure food crops that are produced in the country get the needed value. The motorbikes were donated by Modernising Agriculture in Ghana – a Canadian group, and have been duly registered and comprehensively insured by the assembly. 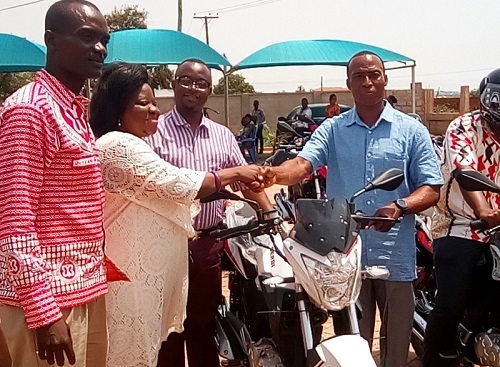 Madam Ernestine Tetebea Agyiri, Municipal Agric Director, said the motorbikes will solve one major challenge of extension workers in the municipality, which is mobility – and urged beneficiaries of the motorbikes to make good use of them. “The motorbikes will enhance frequent visitations by officers to and from farm, especially when farmers call on them for assistance in times of any emergency,” she said. Meanwhile, some of the beneficiaries who spoke to the B&FT, especially veterinary officers, noted that they are currently using their own motorbikes for extension work; while others do not have any, and must therefore use public transport. This, according to them, is a major challenge because some of them are living far from the area; however, the motorbikes’ arrival is timely and will assist them in visiting various farms regularly.